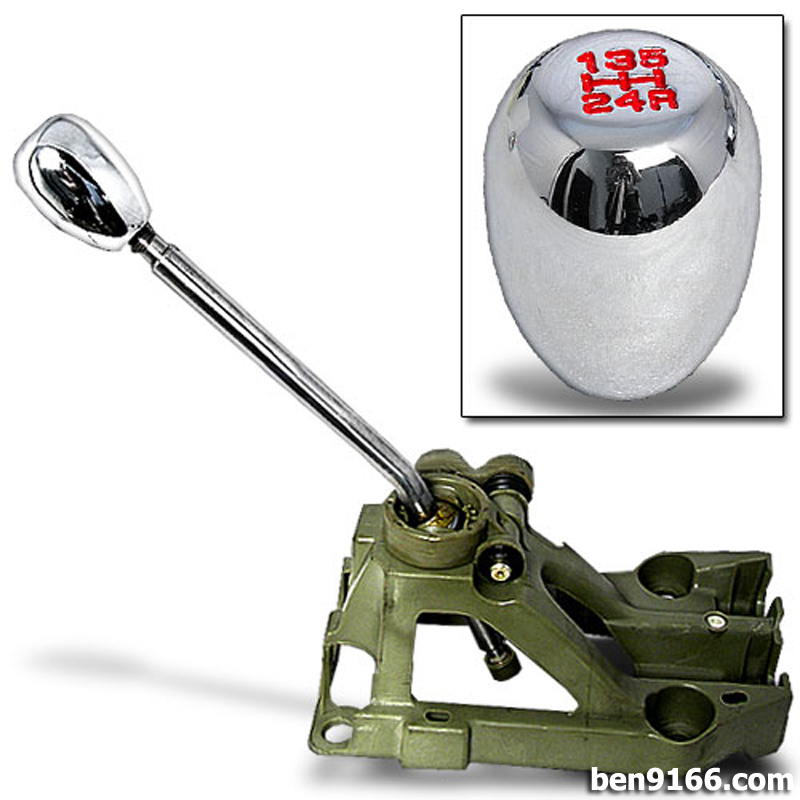 A short shifter is a modification of the manual transmissions' gear stick. The modification is done by changing the existing gear stick to an aftermarket bolt-on replacement part as it has a different leverage; changing gears would therefore be slightly heavier. The desired effect of a short shifter is to reduce the distance your hand needs to mechanically engage the next gear, thus reducing the amount of time spent shifting. This would reduce wasted time between shits while you're accelerating and decelerating, thus improving performance. A lot of people mistakenly believe that a short shifter is just a chopped off version of the stock gear stick where it has no effect on the angle that your shifter shaft travels through between gears and therefore does not reduce the shifter's angular throw. In fact, any gear stick and engineered short shifters are carefully constructed so that each upper throw corresponds and synchs with what's going on inside the transmission. The geometry of a short shifter therefore differs from the stock gear stick in order to reduce the distance that the upper section where your shift knob threads on needs to move to achieve the same degree of movement in the lower section where the shift rod or shifter cables attach. This ensures that although your hand is moving a shorter distance, the transmission is still fully engaged in every gear. The main pivot point, or fulcrum of the shifter lever is re-positioned on the shaft in such a way that the lower section which connects to the shift rod or shifter cables is longer than stock, resulting in the desired effect.